Please arrive on Sunday by dinner time for the program. However, Sedona is easily one of the world’s most beautiful and popular travel destinations. If you can schedule your extended vacation around the retreat, we highly recommend it. Things to see and do in Sedona include hiking, mountain biking, Palatki and Honanki ruins, jeep tours, helicopter tours, cave exploring, camping, Slide Rock, hiking in creeks and mountains, and so much more! Can I attend only a few days? Because of the nature of this program, please plan to attend the entire week. Please arrive and check in between 2:00 and 5:30 pm on Sunday, June 2. The retreat will end around noon the next Sunday. The nearest airport is Phoenix Sky Harbor Airport which is approximately 2.5 hours away. Arizona Shuttle (928-282-2066) provides transportation to the Sedona Mago Retreat Center for a fee. It is recommended you make your shuttle reservations with Arizona Shuttle at least 4 days prior to your arrival. The shuttle will bring you from the Phoenix airport to the Retreat Center when you arrive and pick you up on from the retreat center when you depart (you need to book this in advance). How to do drive to Sedona Mago Retreat? Please visit the driving directions page for detailed instructions or view the driving maps. Or, you can park at the welcome center and the SMR van will pick you up. The 7-day retreat, room accommodations during the length of the program, and three meals a day are included. For more information, please contact us directly at info@missfoundation.org. Meals are delicious, creative, and amazing and are served buffet style in the dining hall three times a day. The menu is vegetarian and pesco-vegetarian, which means they serve fish and seafood options. Many of the vegetables and fruits served are from the organic gardens on the grounds. There is a self-service laundry room that is operated by quarters. Laundry detergents are also available for purchase. The retreat location is in breathtaking Sedona, Arizona and is located in the high desert at 4,500-feet altitude. Typical desert weather is warm in the day, with dropping temperatures at night. There may be strong winds that can help with the warm temperatures, but which also circulate dust and pollen in the air. The retreat accommodations include casita-style guest rooms that are decorated in a style conducive for relaxation and meditation. Standard rooms offer mini-refrigerators and microwaves. To maintain an environment conducive for meditation, the rooms do not have televisions or phones. Payment for the program is due at the time you register. What if CBC-Y doesn’t have enough people to fill the program? Like with our other CBC programs, we expect a full turnout. If for some reason we do not have enough people to fill the course, we will let everyone know by April 3, 2019 that we plan to reschedule the program to a later date. You will be offered a full refund for the course and your registration acceptance will be honored for future programs. Send an email to kelli.montgomery@missfoundation.org as you know you’ll have to cancel. There is a cancellation fee of $100 if made before April 3. There are no refunds for cancellations made after April 3, 2019. Please save your email and if you do not receive a cancelation notice back within 48 hours, please call us with your intent to cancel at 602-279-6477. Do I have to be a certified yoga teacher to take the CBC-Y®? You do not need to be a certified yoga teacher to take the CBC-Y® but you should have extensive personal practice in yoga and your own established zazen (meditation) and mindfulness practice. Each application will be reviewed individually. How much yoga training or experience do I need to have to be able to take the CBC-Y® training? You do need experience in yoga, as a teacher or advanced level practitioner. The ideal candidate will have a personal practice (sadhana) in asana (poses) and meditation and will have basic knowledge of common yoga postures as well as basic knowledge of the teachings of Hatha yoga, Patanjali’s Yoga Sutras, Raja yoga and the Eight Limbs of Yoga. The ideal CBC-Y® candidate will have the desire to learn and apply the use of the philosophy and practices of yoga in your work with those experiencing loss, bereavement and/or traumatic grief. Your lodging, three meals per day, and all supplies including three books and a manual for the duration of the training are included. In addition, you will be added to our growing international database of Compassionate Bereavement Care ™ Certified Providers who are trauma and grief educated. Someone seeking a grief and trauma-sensitive yogi will be able to locate you in their online search through our database. You are responsible for transportation to and from the retreat center. Upon satisfactory completion of the training you will receive a certificate and badge to confirm your certificaton which you may display on your website, in your office, teaching space, on business materials, etc. You may also refer to yourself as a certified Certified Compasstionate Bereavement Care (R) Yoga Provider. The climate in Sedona is changeable, so please bring a variety of loose, comfortable clothing that can be layered and in which you can easily move. Bring outdoor walking shoes as well as slip-on shoes and socks. Shoes are not allowed in indoor spaces. You may wish to bring a swimsuit as there is a pool and jacuzzi on grounds. If you’d like, bring a hat in the spring/summer and/or rain gear in the fall/winter for outdoor walking. A flashlight is a good idea. Areas around the buildings are lit, but much of the grounds is not. A zafu or meditation pillow is a good idea. Please bring your yoga mat. You may also want to bring a jacket or shawl, including a meditation shawl if you like. Please bring pens or pencils, notebook or journal, and photos of any loved ones, or anything you would like to place on a class altar as well as your own personal altar. We will engage in group and individual altar creation as well as other expressive arts activities. Supplies will be provided, but if you have your own preferred supplies (pens, pencils, brushes, etc.) or any small objects or photos you may like to attach to a work of art or altar, please feel free to bring these. We also request that you have and bring your own copy of Patanjali’s Yoga Sutras. The copy which will be primarily used in teaching is The Yoga Sutras of Patanjali, Commentary on the Raja Sutras by Swami Satchidananda. Some sutras specific to study will be included in the manual, but it will be helpful to have your own copy. Who can apply to take the CBC-Y®? Medical and mental health providers* working in the field of trauma and grief who are also certified yoga teachers. Certified yoga teachers who wish to learn how to better provide a safe space and teachings for those experiencing loss, bereavement and/or traumatic grief. Providers who are not certified yoga teachers, but who have a strong personal practice and desire to use yoga and yoga based philosophy in their work with those experiencing loss, bereavement and/or traumatic grief. *“Providers” refers to nurses, hospice workers, physicians, psychiatrists, midwives, clinical therapists, bereavement coordinators, social workers, sociologists, chaplains, clergypersons, mortuary scientists, support group facilitators, MISS Foundation facilitators and volunteers, graduate students, mortuary scientists, first responders, and potentially other professionals who work with those in grief. Can I take this training if I already have the CBC® training? Yes. If you are already a CBC® provider you will learn how the yoga component is the perfect complement to the learning you received in your initial CBC® training. 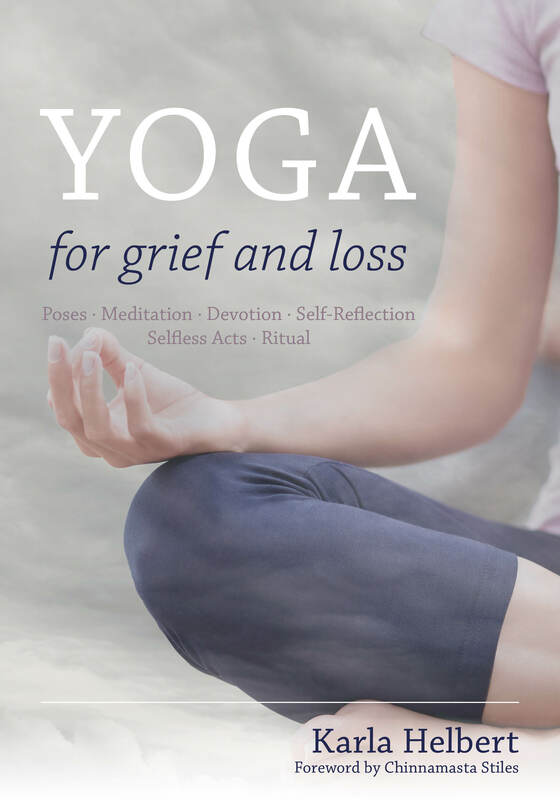 You will gain an understanding of why the teachings and philosophy of yoga provide an ideal framework for working with those in traumatic grief and you will gain an even deeper understanding of grief from a different perspective, building on what you have already learned. The grief and trauma aspects of the CBC-Y® training will be similar, but taught in a different way. You will learn new applications of the knowledge you have already gained, expand upon what you have already learned with new perspectives as well as new learning and practices which you can apply personally and professionally. If you have received the CBC training within the year, you will not be able to receive the 30 CEUs. If you are a yoga teacher, you will be able to receive yoga CEUs through Yoga Alliance even if you have already taken the CBC within the year. How is this similar to the original CBC® training? The CBC-Y® training is based in the same philosophy of a non-medicalized, non-pathologizing, mindfulness approach combined with current science and evidence based practices in traumatic grief. We will learn new things and review some data and information in the context of yoga practice. How is this different from the original CBC® training? 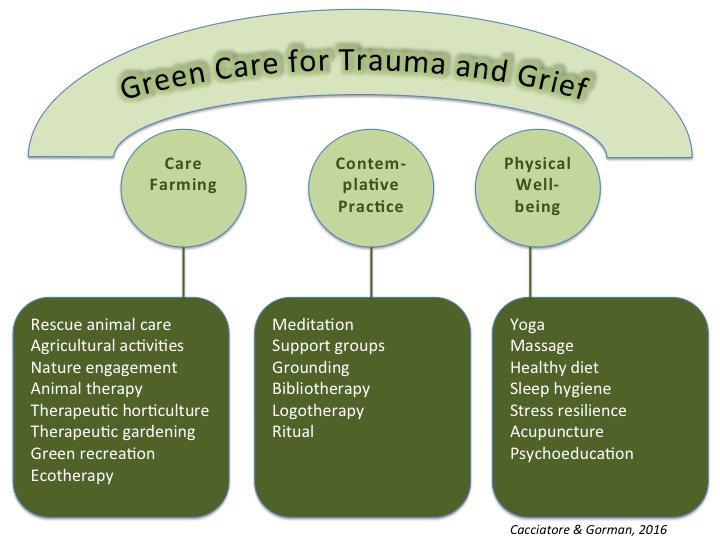 This training differs in that the science and evidence based learning of grief and trauma will be combined with the teachings and philosophy of yoga. The CBC-Y® is a retreat model training program. We believe that personal practice and retreat time is vital to being able to be fully present and compassionate as a provider and teacher for those in grief and trauma. This model is a residential learning-retreat that combines didactic teaching with experiential learning, meditation, chant, creative and expressive activities as well as daily personal and group practice. You will also have the opportunity to continue your learning process as new training modules of the CBC-Y® become available and the opportunity to obtain support through mentoring after the training. 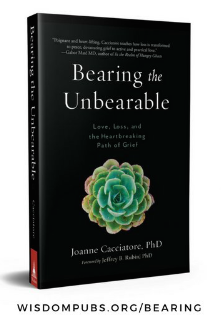 The entire Compassionate Bereavement Care Certification® program explores and extends current evidence based practices in traumatic grief and is based in a non-medicalized, non-pathologizing, mindfulness-based approach. 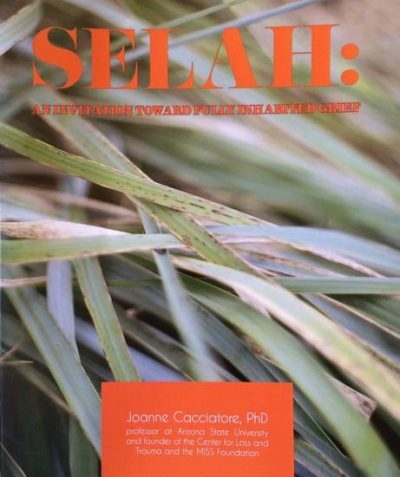 We teach the art of full presence and compassionate counseling informed by recent science (Cacciatore, 2010; Cacciatore & Flint, 2012; Thielman & Cacciatore, 2013; Cacciatore, Thieleman, Killian, & Tavassoli, in press). What can I do with a CBC-Y®? If you are a certified yoga teacher you will be able to teach yoga for grief and loss classes with confidence in your knowledge of current empirical science and how aspects of multiple branches of yoga can support your students who have experienced trauma and grief. Traumatized people are vulnerable, and it is imperative that yoginis learn how to care for others in a safe way during yoga practice. If you are another kind of provider, you can use varied aspects of the teachings of this retreat style training in any way that seems appropriate to your practice. This may include use of asana (postures), pranayama techniques (breathing practices), yoga philosophy and practice with your clients as these relate to self-care, support, trauma, relational aspects, or psychosocial concerns. You may choose to introduce ritual, relaxation, mindfulness and meditation practices to clients. You can utilize the tools in any way and in any combination, that seems appropriate in the context of compassionate care for those you support. If you are a licensed provider you may receive 30 CEUs for the grief and clinical portion of the training. If you are a certified yoga teacher registered with Yoga Alliance, you will be eligible to receive 30 contact hours with a registered YACEP (Yoga Alliance Continuing Education Provider) as well as non-contact hours of Yoga Alliance CEUs through this training. If you are both a licensed practitioner and a yoga teacher you can pay for and receive CEU for both your license and through Yoga Alliance for the yoga portion of the training. How much physical fitness is required for this training? To participate in this program, we ask that you have your own personal practice. If your physical abilities do not include a vigorous asana practice, this is fine. One of the essential teachings of this training is to meet clients and students where they are at all levels of physical fitness. We will have daily yoga asana practice in which each participant will be invited to engage in to the best of their abilities. Multiple options will be given and taught with the support for each person to find his or her own edge. Yoga should never hurt. Taking care of the body and honoring your own individual abilities is part of the teaching. Learning to adapt, adjust and accommodate is essential to best practices in yoga as well as in grief and life. We ask that you use your judgment at all times. Am I guaranteed to be certified? We reserve the right to confer certification, which includes inclusion on our Certified Bereavement Care Providers websites based on demonstration of learning, compassion, self-awareness, and confidence in each practitioner’s abilities.